Do you feel worn-out and trapped in a life that doesn’t feel like it’s your own anymore? Do you have dreams and aspirations you want to fulfill, but feel that your mind and body can no longer cope with the demands you place on them? The greatest and most precious gift we possess is our health. With great health, we can achieve almost anything. With poor health, we struggle to cope with the demands of even the most mundane issues in our lives. It is often poor health which directly or indirectly contributes to many of the problems we face. BUT YOU CAN CHANGE YOUR LIFE! COMPLETELY, IRREVOCABLY AND ONCE AND FOR ALL! 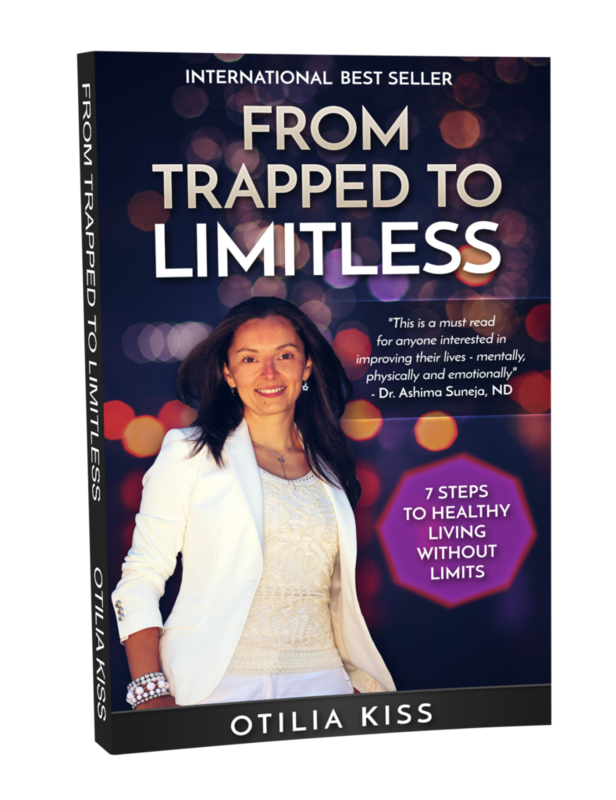 In From Trapped to Limitless: 7 Steps to Healthy Living Without Limits, Otilia Kiss helps you break down the barriers before you and get the health you deserve. Not just for a few months or even a few years, but forever. Packed with tips, practical advice, and an easy step-by-step approach, From Trapped to Limitless will help you start on the path to energy, vitality and the best that life has to offer. * A clear roadmap from where you are today to where you want to be using health and wellness strategies that work for you and your unique self. * How to change your body, your mind, your energy, your mood, your digestion, your eating habits…your whole life. * The tools to cultivate inner peace, self-esteem, and personal empowerment. * How to master the mindset of optimum health and create an abundance of energy beyond anything you can imagine. Otilia Kiss is a passionate Student of Life, Wellness Advocate, Public Speaker, Best-Selling Author, and Certified Integrative Nutrition Health Coach based in Toronto, Canada. When she suffered from poor health a few years ago, Otilia quickly adopted the mantra “food as medicine” and completely healed herself from the inside out. After working for Fortune 500 Companies in the food & beverages industry for nearly two decades, she decided to go back to school to learn everything she could about health. Today, Otilia is here to help others achieve optimum health through the art of healthy cooking and holistic nutrition. Currently, Otilia is the Founder of her very own company called Otilia Kiss Coaching where, as the “NO LIMITS” Coach, she inspires and guides people to master their mindset, emotions and health. She also serves as the in-house Health Coach and Co-Founder of Thrive Organic Kitchen and Café, which is an all-organic vegetarian restaurant dedicated to the health-conscious individual. In addition, she serves as a member on the Board of Directors of the Toronto Power Group, a personal development group with the goal to inspire and empower people to live the life they truly deserve. As a Public Speaker, Otilia inspires individuals, groups and organizations to take their results to the next level by breaking through the limitations standing in the way of their greatest potential. 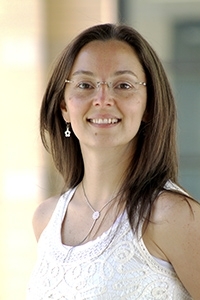 Furthermore, Otilia received her Integrative Nutrition Health Coach Certification from IIN (Institute of Integrative Nutrition) and a Bachelor of Business Administration (BBA) from Trent University. She is now in the process obtaining her NLP (Neuro Linguistic Programming) Practitioner Certification. Both driven and equally as committed, Otilia Kiss is on a mission to empower people to awaken to their limitless potential and harness it for their greater good. Ultimately, she strives to provide lasting solutions to every client to help them pave the path to a happy, healthy life.